HTC’s Edge Sense is arguably one of the most interesting new features to launch on a smartphone in 2017, so it’s no small surprise that the folks at HTC are doing everything they can to make it more useful. 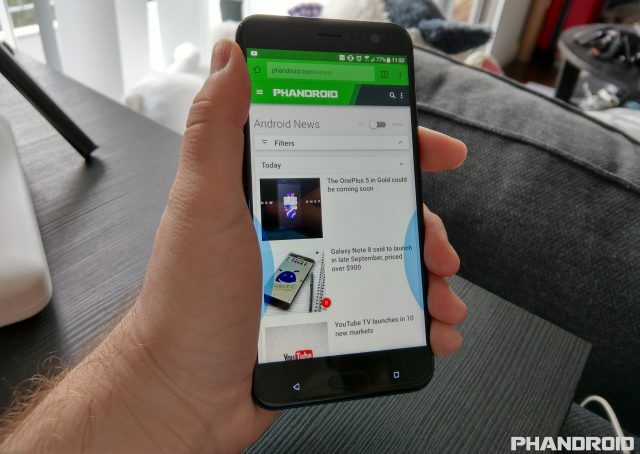 The Edge Sense app launched with only a handful of features, but HTC has slowly been adding more like squeeze to screenshot or launch an app. Earlier this month we wrote about a beta update to test performing actions within apps using the Edge Sense feature, but it looks like this new feature is finally ready for prime time. HTC has posted a short video to their YouTube page demonstrating how to set up in-app squeeze gestures with the Kindle app by setting up squeeze to turn pages. The new Edge Sense feature can be used to simulate any single or double tap on an app and it can be set according to screen orientation, so there are lots of options available to you. Here’s how to set it up on your HTC U11. Open the app tray and tap Settings. Scroll to the bottom and tap Edge Sense. Scroll to the bottom and tap add more in-app options. Your app will automatically open with a red hand at the top. Tap the red hand and then select the area you want to interact with. 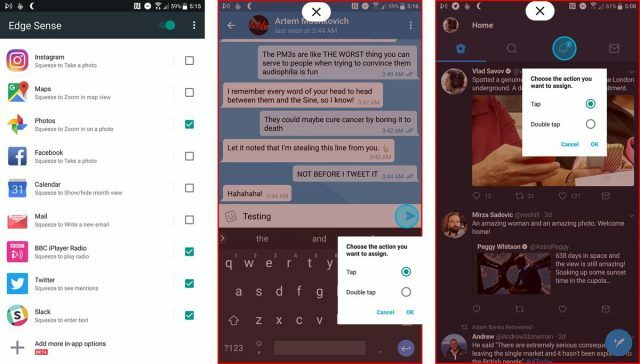 Since you can simulate single and double taps in any app you want, there are lots of ways you can use this feature if you have an HTC U11. Squeeze your phone to send a new status update in Facebook or Twitter, or anything you can dream up with the ability to create your own custom actions with Edge Sense.